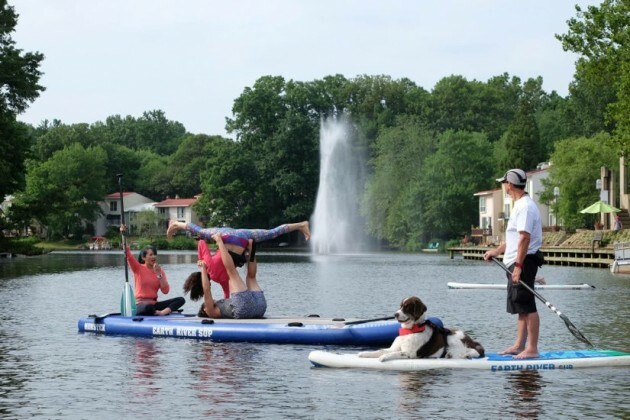 WUSA9’s Great Day Washington morning show was at Lake Anne Plaza on Tuesday morning for a segment on Stand Up Paddleboarding. 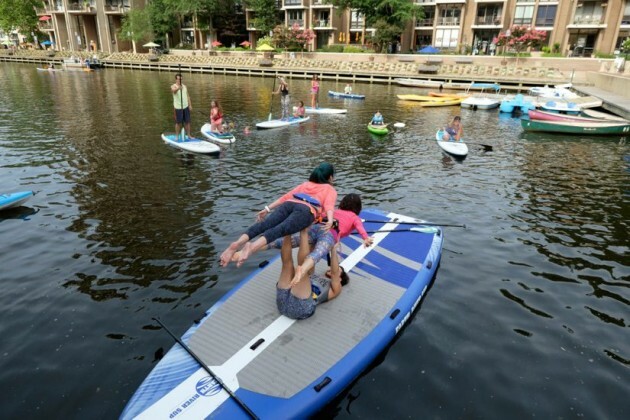 Steve Gurney, owner of Surf Reston SUP, as well as many paddleboard and paddleboard yoga enthusiasts were on the water for the broadcast. The segment was supposed to air live, but there were issues with the satellite link. The segment will air later in the week. 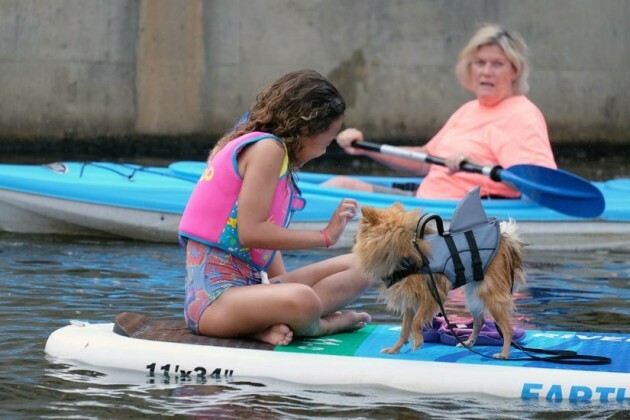 Great Day Washington airs on WUSA (Channel 9) weekdays from 9 to 10 a.m. 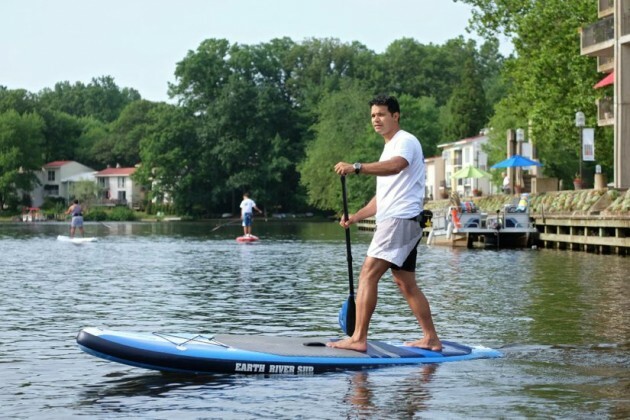 Photos by Charlotte Geary for Modern Reston.